Four Jackson Academy Lady Raiders were recently recognized for their accomplishments in volleyball. 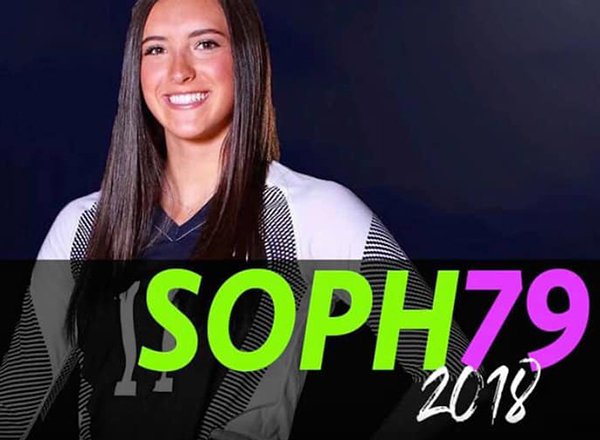 Parker Bracken (sophomore, outside hitter) has been named to the MaxPreps 2018 Girls High School Underclass All-American Volleyball Team. She helped lead the Lady Raiders to a 37-8 season and a No. 4 state ranking. She averaged 4.6 on serve receptions, tallied 618 kills, 308 service points, 340 digs, and reached 1000+ career kills this season. She is committed to LSU Beach. Parker received this award in both 2017 and 2018. Parker was also just selected as one of the top 79 sophomores in the country by prepvolleyball.com! Natalie DeRusso (sophomore, setter) was named by prepvolleyball.com as an Elite Honorable Mention. This is a list for the top sophomores in the country. Natalie played all 116 sets for JA this season and recorded 1,060 assists, 161 digs, and 51 aces. She led the state in assists. 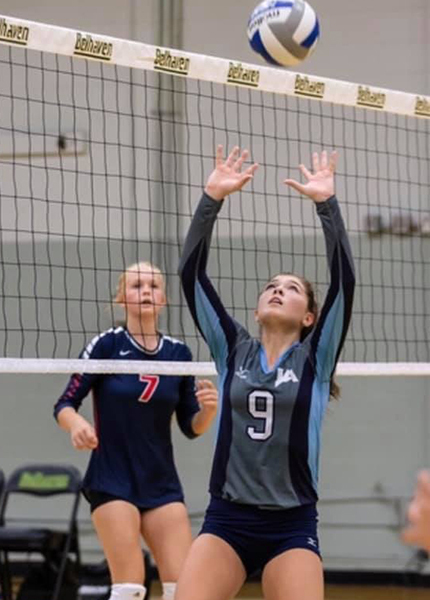 Remy Jones and Anna Claire Sheffield were selected to the 2018 PrepVolleyball.com FROSH59 List. This is a list of the nation’s most outstanding high school varsity-playing volleyball freshmen for the 2018 fall season. These two Lady Raider Volleyball players were among only three Mississippians to be named to this list. Remy played in 109 sets and recorded 283 digs, 214 service receptions, 61 aces (serving in at 95 percent). Anna Claire played in 116 sets and recorded 72 kills with a .294 hitting percentage and 57 total blocks, in which she led the MAIS. Congratulations to all these Lady Raiders!